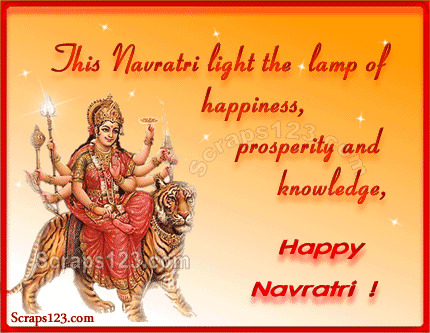 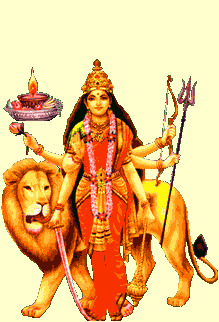 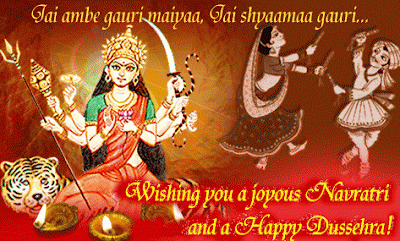 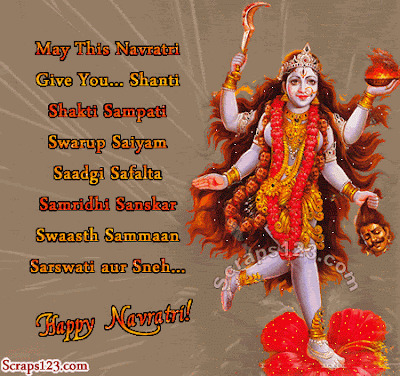 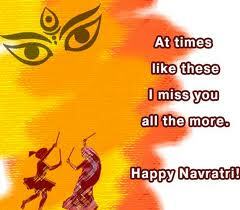 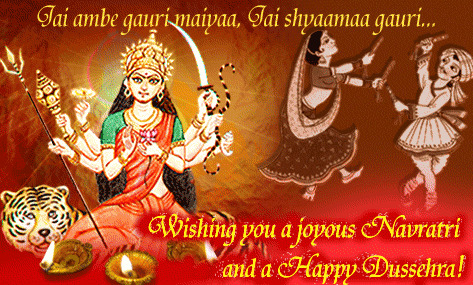 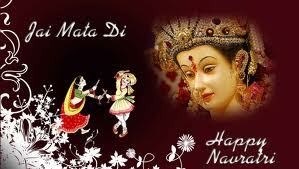 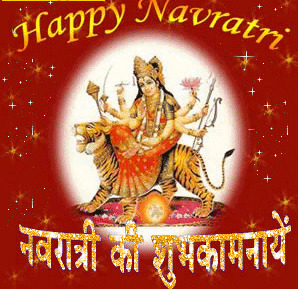 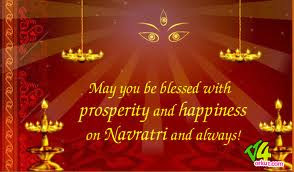 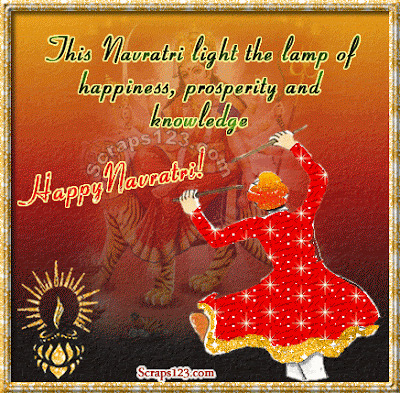 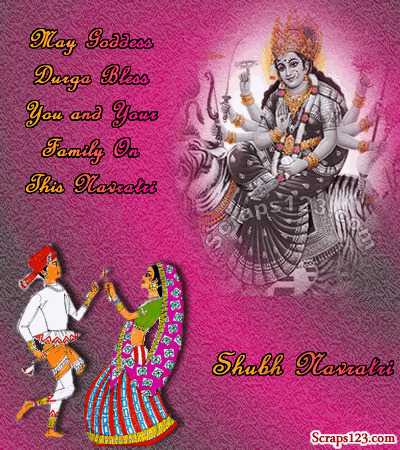 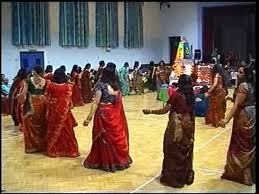 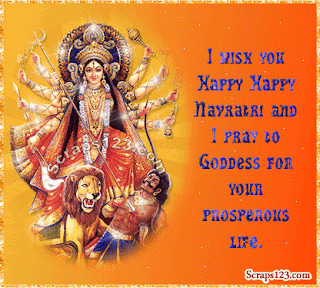 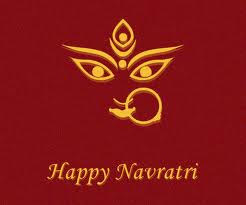 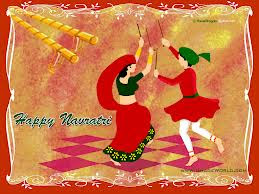 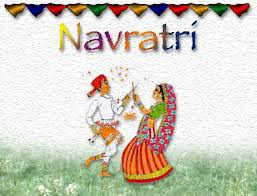 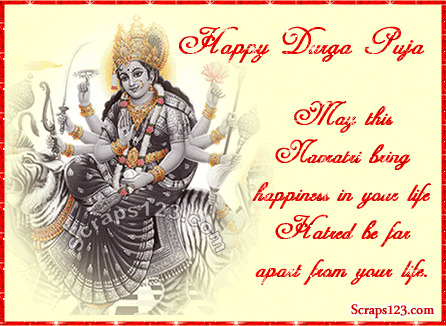 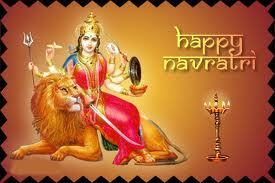 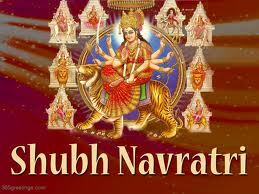 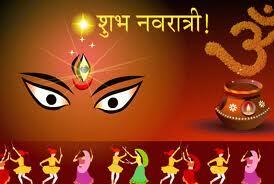 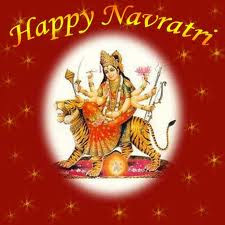 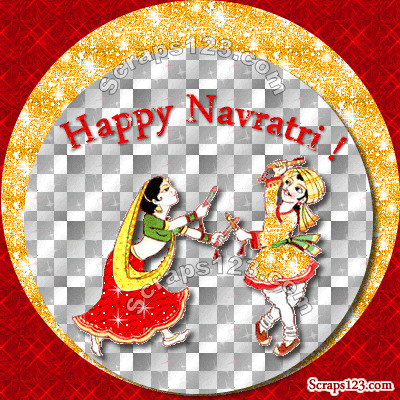 Navratri is celebrated on 16 October to 23 October 2012 and 9 Days Festival. 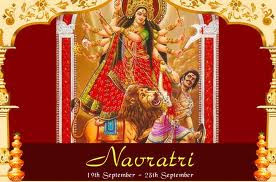 In Gujarat, Navratri festival celebrates the worship of Goddess Jagdamba, while in West Bengal, Durga Puja is the reason to rejoice. Though, every region in India celebrates this festival in its own way, Navratri Festival is dedicated to the 3 avatars of Goddess Shakti - Durga (the warrior Goddess), Lakshmi (the Goddess of wealth), and Saraswati . 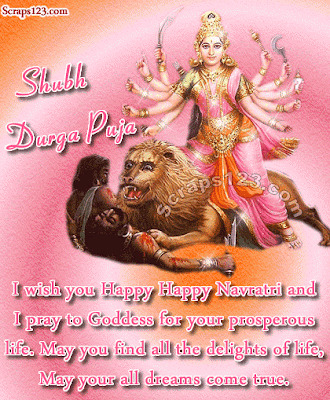 Durga, the divine mother, had destroyed the evil force (in the form of the demon Mahisashura) during this periodThe festival is celebrated with true devotion and purity all over the country. 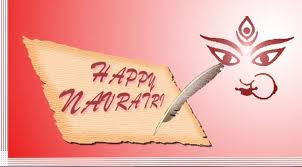 People from various sections of the society irrespective of caste and creed celebrate this festival by visiting temples and offering pujas at the Mother’s feet. 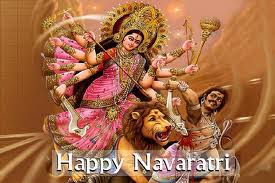 Navearti festival is also celebrated with intense fervor and zest, in whole of India, in the form of Durga Puja. 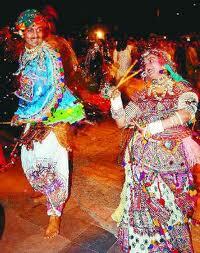 The vibrant festivities last for ten days, of which nine nights are spent in worship. 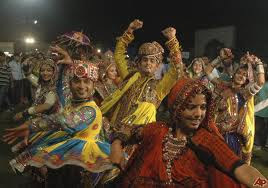 But the celebrations vary from place to place. The most famous Navaratri celebrations are held in the western states of India (Gujarat and Maharashtra) and Amedabad Navratri is Grand Celebration. 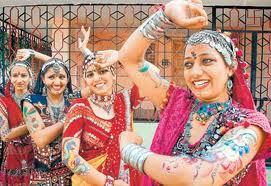 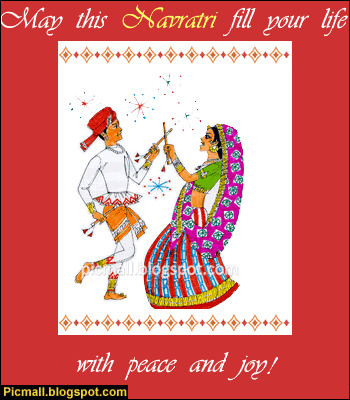 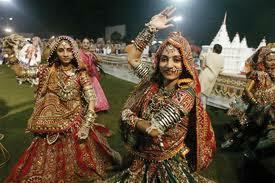 Traditional dances in the form of Dandiya and Garba take place almost everywhere. 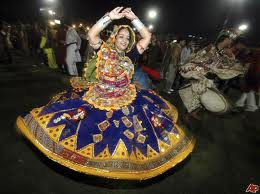 The dancers move around in a circle, with different steps around a lamp, which signifies the Eternal Light of the Durga. 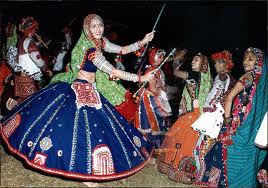 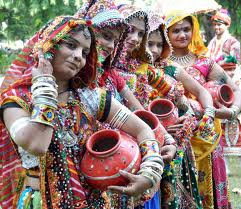 Generally Gujarati men and women wearing colorful dresses dance around in a circle by clapping their hands or decorated sticks to the rhythm of the devotional songs. 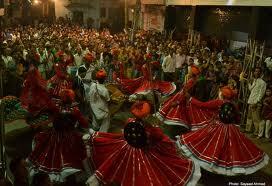 After worshipping and 'Aarti', 'Dandiya raas' is performed all through the night. People of West Bengal commence their navratri celebrations by worshiping huge idols of the Goddess, replete with devotional songs and dances, until, till the tenth day when they take out a finally take out an opulent procession, that concludes with the immersion of the idols in water. Of prime importance in Bengal are the first four days of the puja, the distinction being the worship of pre-pubescent young girls, known as 'kanyas', which are believed to be the living embodiments of the Goddess Durga. 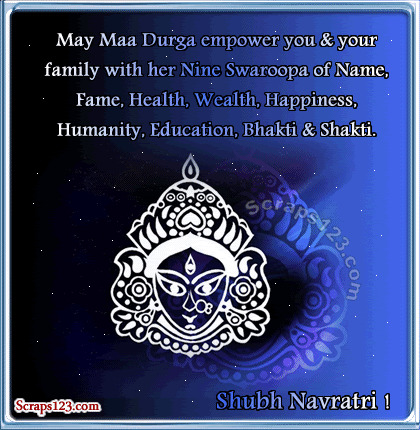 The ninth day is the day of the 'Ayudha Puja', the items of worship being tools, placed at the altar of the goddess for her benedictions. 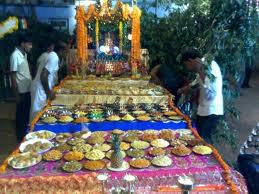 Dashmi or Dussehra, the 'Saraswati Puja' is consummated, the purpose being the desire for knowledge and inner peace. 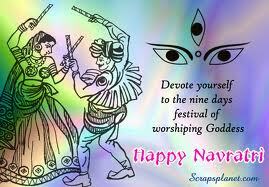 Also worth mention is the Dakshineswar Kali Temple in Kolkata, thronged by devotees during the navratras. 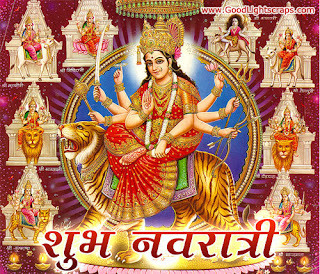 Aaya hai Maa Durga ka tyohar. 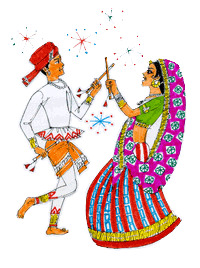 sada apni kripa banaye rakhe . 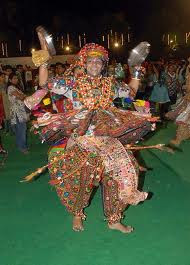 avsar par bahut-2 badhai ho.